The Double Hutch Cover is made from heavy duty Polyester Oxford 250D material and designed specifically to fit our Double Hutch. 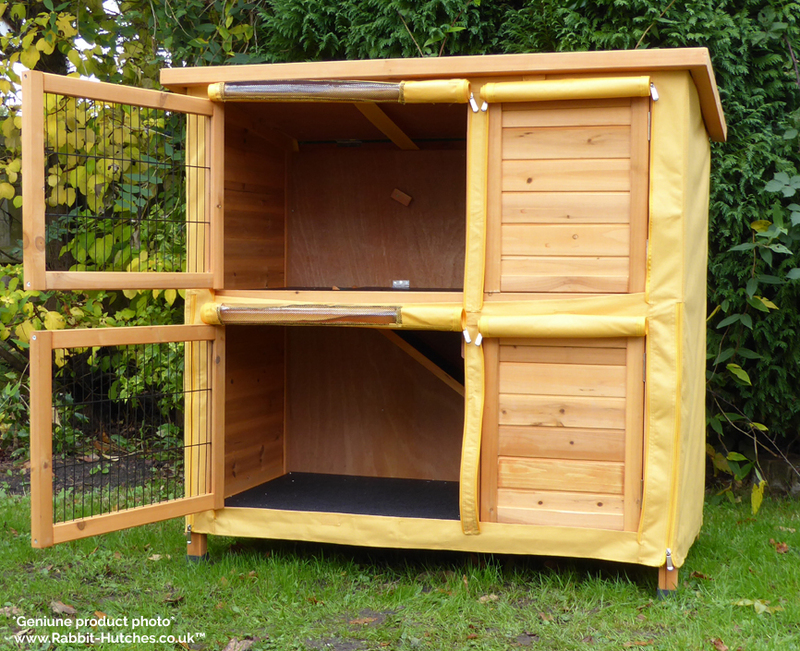 The new version of the Double Hutch Cover is made from heavy-duty Polyester Oxford 250D material and designed specifically to fit our Double Hutch. 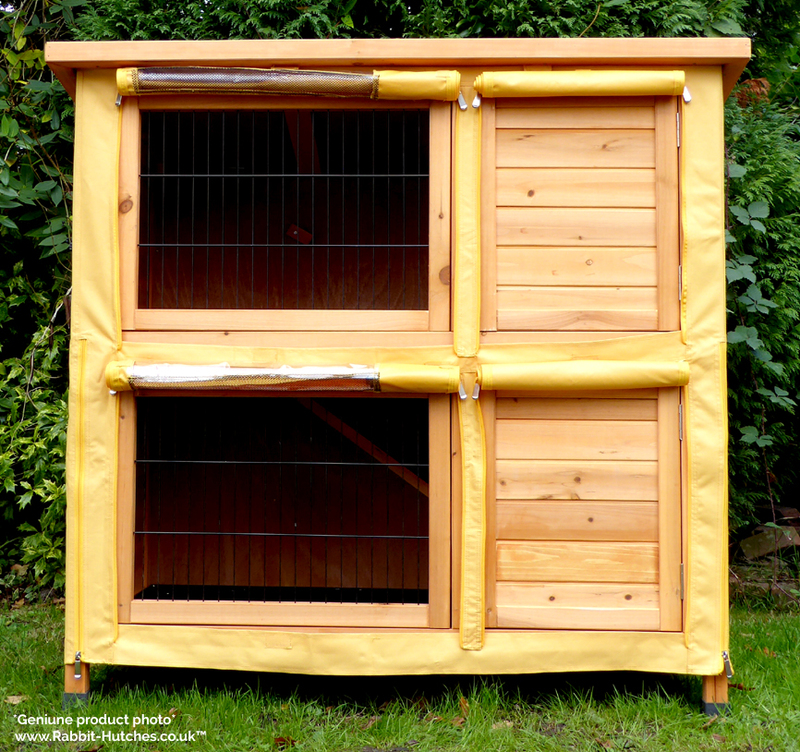 The cover fits snuggly around your hutch - helping to protect it (and your pet) from driving wind and rain. 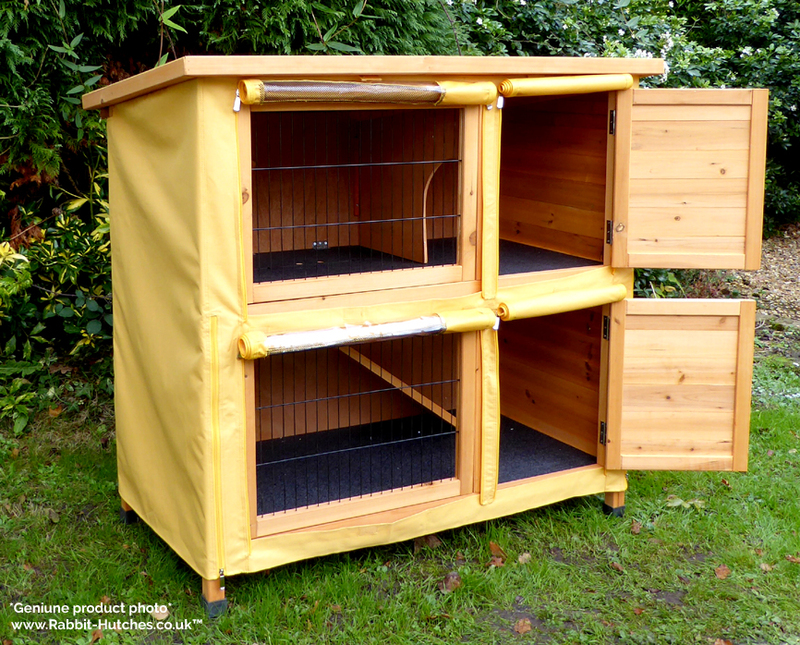 With plenty of convenient access points which allow you to access the various areas of your hutch there is no need to completely remove the cover should you need to tend to your pet. 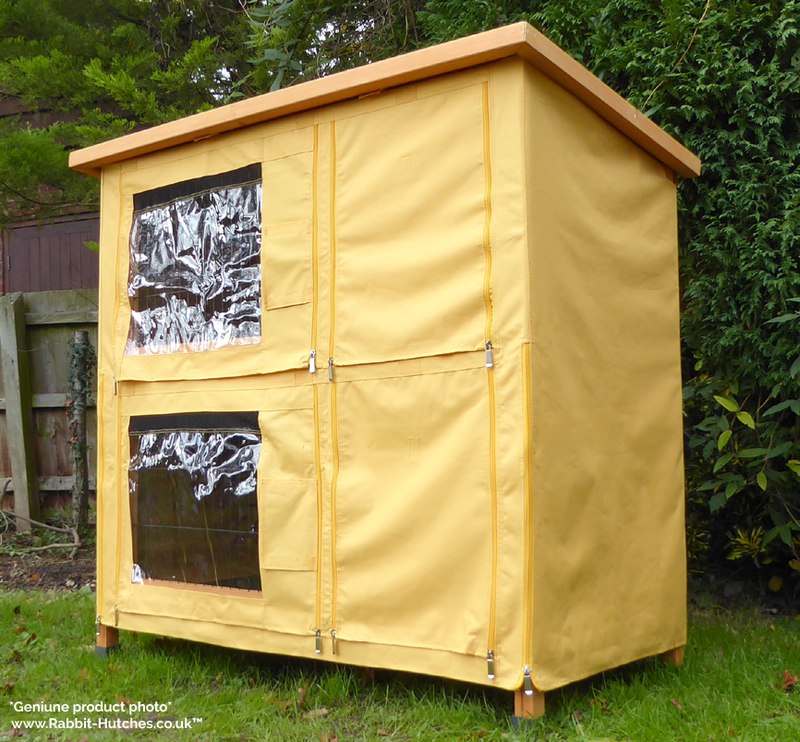 The cover has been designed to help keep your pet warmer and dry during the cold wet months as well as help to protect and prolong the life of your hutch. There are two delivery options available at checkout. Standard Delivery (£9.95): Orders are usually delivered within 3 to 5 working days. Express Delivery (£17.95): Orders are usually delivered within 1 to 2 working days. Small Items (£3.95): Covers are usually delivered by the Royal Mail within 3 to 5 working days. * Deliveries are typically made Monday to Friday between 8.00am - 6.30pm. * All Express Delivery orders placed after 12 pm Monday to Friday will be dispatched the next working day. * You do not need to be in to accept delivery. The courier driver can leave your order in a safe location. * Small items ordered separately like hutch covers and run covers are typically sent via Royal Mail. Where can we deliver to? Like most online companies we rely on (3rd party) courier companies to deliver all our orders around the country. 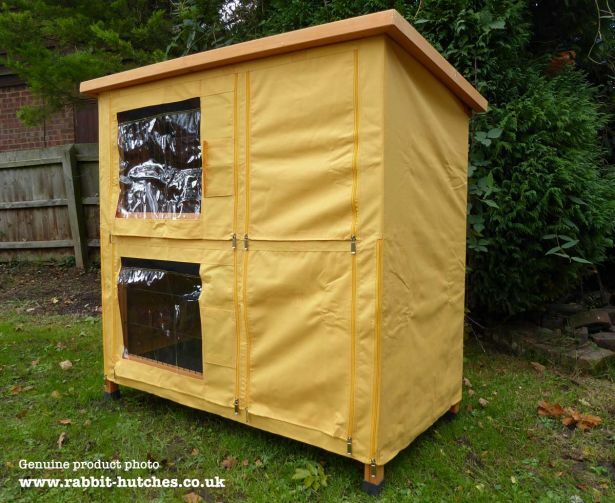 As much as we would love to get our products in the hands of as many people as possible the cost of getting our hutches to anyone who lives outside mainland England and Wales is prohibitive - sometimes more than the actual cost of the product! If you live outside these areas then unfortunately, we are unable to offer delivery due to the high extra charges levied by the courier companies we use. You are welcome to arrange your own courier to collect from us, or we can deliver the items to a courier up north for onward journey to you. The courier company that we use can deliver to the Isle of Wight. However, there is a delivery surcharge of £15.95 per order. *This is an estimate based on the majority of orders sent, however we cannot absolutely guarantee it. 1. How do I fit the cover to the Double Hutch? 2. Can the Hutch Cover still be fitted when the run is permanently attached? 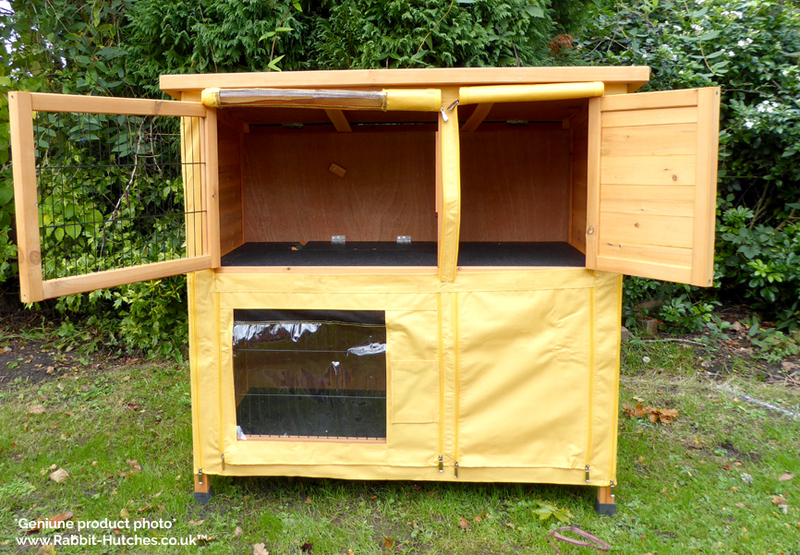 In warm weather your hutch can get dangerously hot if the cover is left on. We recommend that you remove your cover during warm weather. We also recommend that you allow your cover and hutch to air out regularly, especially after long periods of wet or damp weather. Failure to do so can result in a build-up of mould on the cover and your hutch and will result in the deterioration of the cover. During periods of prolonged rain, the hutch cover will become saturated and the inside of the cover can become wet. 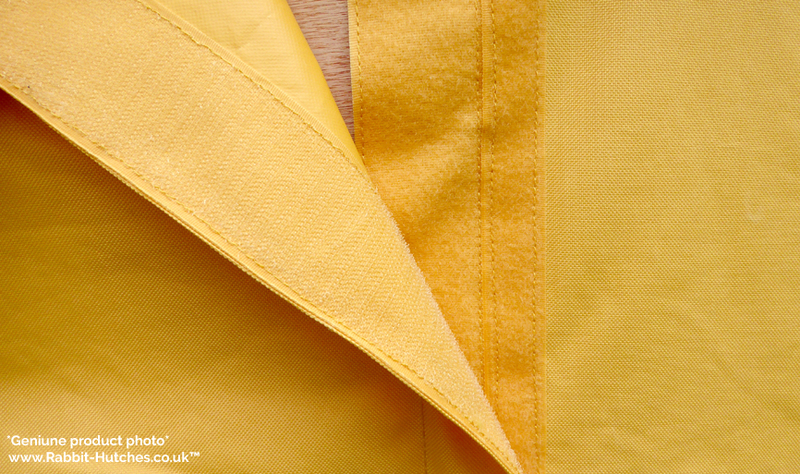 To prolong the life and enhance the performance of your hutch cover especially during wet periods the manufacturer recommends a product Nikwax is applied. We use stronger wood, thicker wire and much sturdier locks and latches (that don't rust). Plus an attention to detail not found in the competition. Based in Dorset. Establish in 2009. 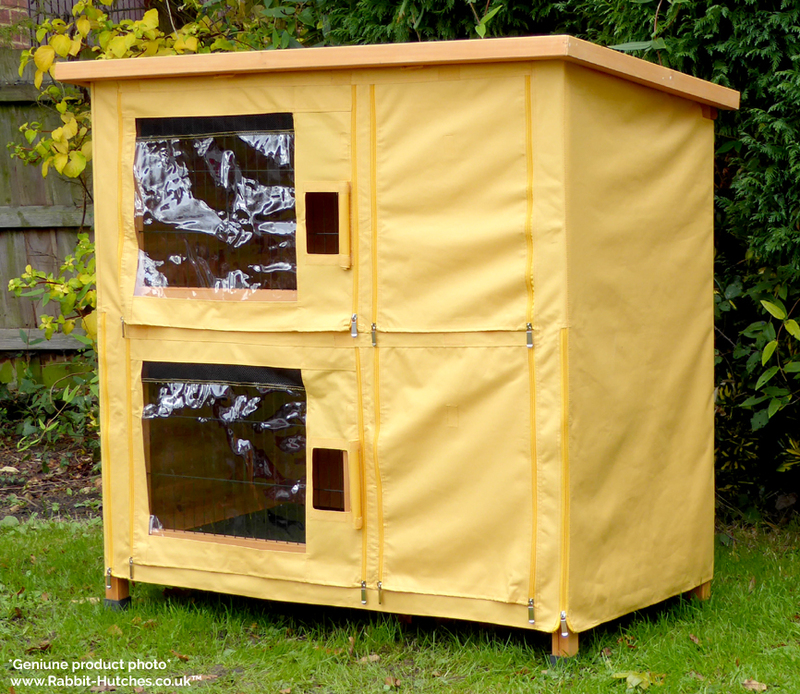 We've supplied hutches to over 20'000 people in the UK. Many of our loyal customers are through word of mouth. Our hutches and runs really are as good as they look - Take it from our past customers. Over 429 postive postive reviews and growing! A profesional website. Your order will be processed safe and securely - 100% guaranteed. We accept Visa, Mastercard, American Express or PayPal. “I have been really delighted with the service you have provided. I can honestly say that it has been the best experience l have had in buying anything online. I really appreciated the emails letting me know excactly when it would be delivered and the hutch itself was extremely easy to put together and appears to be of good quality and design. Thank you, I'm very pleased and I'm sure that Rabbit is too." For next day delivery choose the Express delivery option. Orders placed before 12pm will be dispatched on the same day. Orders placed after 12pm will be dispatched the next working day. Copyright © 2019 Thirty Four Stores Ltd. All rights reserved.